Recognizing that the initial massive violence was generated by the military rebels themselves remains the biggest taboo of all in democratic Spain’s public sphere. Franco’s dictatorship has never been delegitimised since his death in 1975, notwithstanding the symbolic measures of recent years. It is this military responsibility, which Garzón sought unsuccessfully to confront, that lies at the heart of Preston’s study. 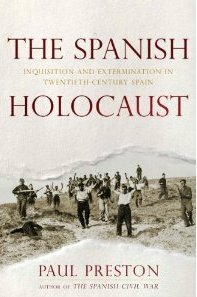 He builds on a lifetime’s research into the destruction of democracy in 1930s Spain to show how a military-led coalition against political and social reform triumphed, against the divided and inexperienced centre-left government of the Second Republic.